With the current demand on regional services only set to increase, Shepparton is desperate for upgrades. 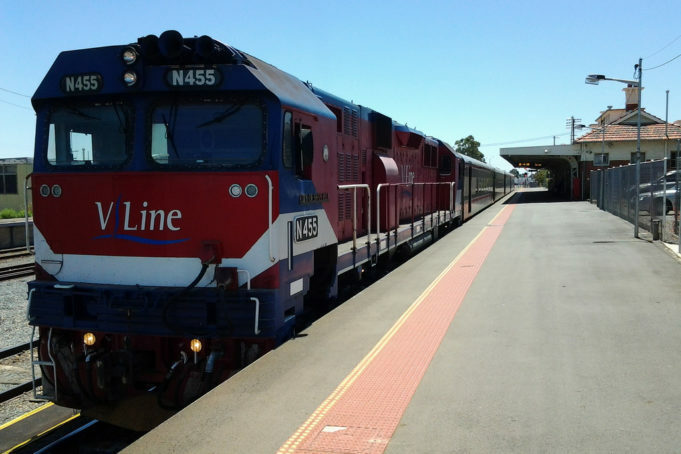 The new V-Line trains have not reached Shepparton yet, even though they have already proven successful in other regional areas such as Bendigo and Ballarat. As a result, some passengers are still using trains that are over 30 years old. A marked increase in services, and improved tracks are just two of the many works that need to be undertaken, notwithstanding a complete overhaul of the current train station itself. However, the demand must be there for the network before any more improvements can be promised. The current Regional Network Development Plan (RNDP) does not include Shepparton in any of its infrastructural upgrades, choosing to focus rather on Bendigo, Ballarat and Geelong. Apart from the additional Seymour to Shepparton service extension, Shepparton has not been marked for any further upgrades. Commuters are understandably disappointed, as the wait for improvement to the far north of Victoria has been a long time coming. Residents claim that more money could be used from the sale of the Port of Melbourne to give their town a much needed refresh. Regional towns are important, and the RNDP does include massive investment in Victoria’s oldest towns and regions; continuing to ignore Shepparton will only hinder their economic development and people’s willingness to move there. As the old saying goes ‘if you build it they will come’ – to continue taking pressure off Melbourne’s rapid population boom, distribution must be encouraged. Is there a reason Shepparton has been overlooked for such a long time? With a current population of just under 65,000 and a projected population of approximately 78,000, their population growth projection is lower than other fast growing regional areas. Shepparton is decreasing from 1.4% to 1.2% in the 2011-2031 period. However, if there is continually little to no investment, this will likely decrease further, so future contribution to Shepparton is vital for building the community. With the average percentage growth of other regional areas steadily on the rise, priority should be taken into consideration. This is not a reason to disregard Shepparton’s transport and infrastructure funding. As the draw of additional jobs, and the general attractions of an historical country town, draw in visitors and potential movers looking to make that ‘escape to the country’. In future, with the help of local, state and federal governments, and with the pushing from local communities and lobbies, Shepparton will be able to get the much needed upgrades to help push forward its development.